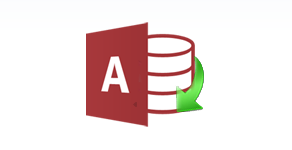 Microsoft Access to Excel Conversion Tool can repair & recover corrupted MS Access (.accdb or .mdb) file and then export MS Access database to MS Excel (.XLS/.XLSX file) spreadsheet. 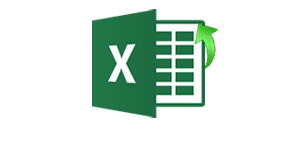 User can easily maintain record in MS Excel spreadsheet rows and columns using advance features of MS Excel application. Corruption of MS Access (mdb or accdb) is really a big issue for Access users. 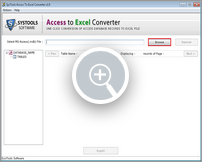 Our tool repair corrupted access file and repair broken strings to make data accessible and export access file to excel. 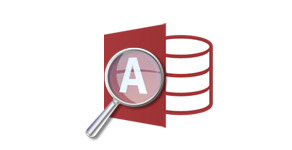 By default, sometime user deletes the important table or items of Access database. In such situation, this tool is really useful as it scan the database deeply to find and restore deleted table in database. 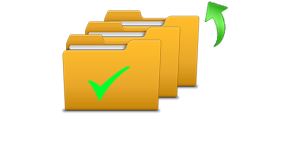 Software repairs and recovers corrupted items from access mdb or accdb file and generate preview of repaired items so that user can check items that were deleted and got corrupted due to any reason. 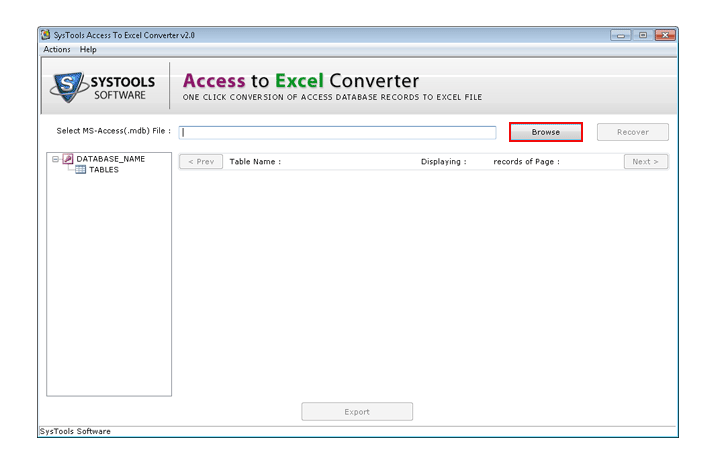 User can convert selective table from large number of database tables to MS Excel format. During conversion of data, complete report is generated by software so that user can reference the statistics for further reference. 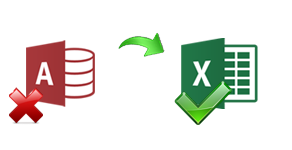 Software provides feature for export options -Export Per Database: This create excel file for each access database and Export Per Table: This create single excel file for each access table within database. 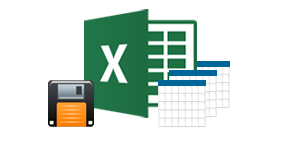 Microsoft Excel database is easily understood and accessed by user as compare to MS Access Database, so for user benefit, tool convert MDB to XLS, so that user can efficiently utilize database items.